The UK's local music scene is dominated by unimaginative, Identikit covers bands, the majority of them locked into a cycle of pub, party and wedding gigs with little prospect of recognition, reward or redemption. While most seem resigned to their fate, a group of musicians will occasionally break free and display the confidence to play something original. Such a band are Grip-Like Vice, a quartet of Cornish twenty-somethings who are quietly — actually, rather loudly — tweaking the blueprint for 21st-century UK Power Pop. 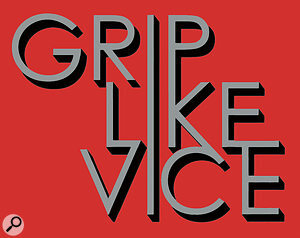 Grip-Like Vice list the much-admired XTC as an influence, and you can certainly hear that in the slashing intro chords and bug-eyed vocal delivery of 'Politician Smile'; its furious, rabble-rousing chorus could serve as a protest anthem for austerity-hit European nations, including ours. 'Laughing At Herself' has a more forgiving outlook, with rueful lyrics bringing to mind poor, downtrodden receptionist Dawn from TV's 'The Office'. This catchy, rowdy toe-tapper concludes with the most defiantly atonal chord ever employed in a pop song. 'Stan Still, Stand Still' also laments lost opportunity, a recurring theme in GLV's world. After a gentle opening, 'Stan' (not a typo) explodes into a brash, angular 7/4 riff, a breathless chorus and a magnificently heavy middle eight guaranteed to provoke outbreaks of Wayne-and-Garth-style headbanging. It's unpredictable, dynamic and exciting. 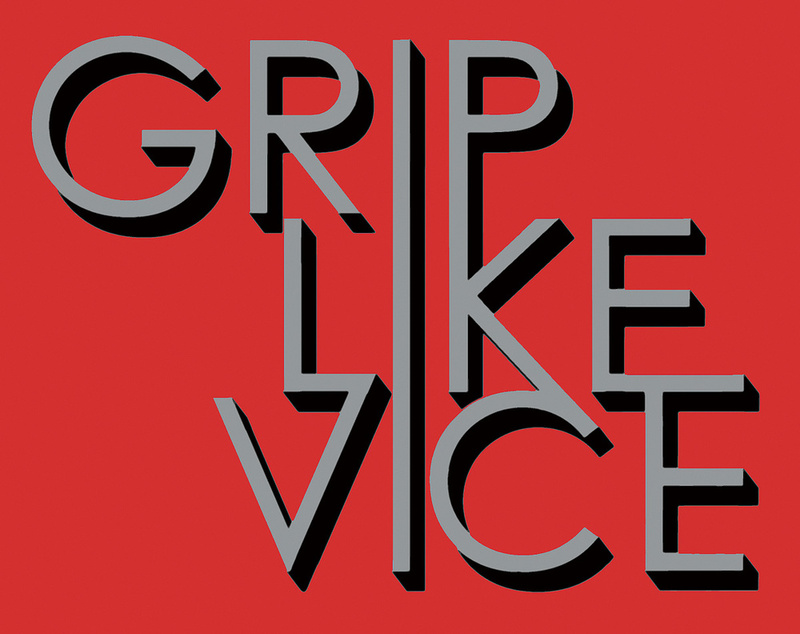 Like XTC in their creative heyday, Grip-Like Vice combine an intelligent quirkiness with a deadly serious musical intent: each member plays his instrument well, and the honed, super-tight performances speak of many hours in the rehearsal studio. Recorded at a time when the band was a trio, this five-track EP has songwriter Beren Matthews playing guitar and keyboards as well as tackling lead vocals. Some of Mr Matthews' synth sounds are a little rudimentary, but the parts are good and the attitude is spot-on. No lush, easy-listening '80s-style pads here; these synths make a rude, irreverent noise designed to blast away the cobwebs. The crowning glory of the EP is one of the most enjoyable songs I've heard in years: 'With The Band', a glorious slice of high-energy English pop-rock, boasts a refreshingly non-standard chord sequence, great vocals, witty lyrics, a tremendous chorus (including a 'B' section worthy of the Beatles) and a perfect pop structure. Putting on my producer's hat, I would venture that the vocoder-vocal middle eight's keyboards need a little reinforcement, but that thought vanishes when the instrumental chorus comes crashing back in with a mad key change, perfectly setting up the final reiterations of a truly uplifting refrain. It's a hit, no two ways about it. From Hendrix to Stevie Ray Vaughan to Joe Satriani, Stus Rollins appears to see himself as the rightful inheritor of some sort of torch that has been passed down through generations of legendary heroes. His CD is thus garlanded with endless photos of Stus Rollins wearing a leather jacket and cradling a pointy guitar, and hyperbolic waffle about the "emotional journey of the fingers”. He is, in other words, setting himself up to fail, with inevitable consequences. Megan Hook is blessed with a fine and sweet vocal talent. There's an effortlessness to her performance that immediately puts the listener at ease, which is wholly appropriate given this collection's down-tempo theme. These are the first two releases in a triptych of Megan Hook albums slated for 2013. The triptych idea is less a tedious statement of some kind and more a way of presenting a collection of songs that don't necessarily all sit well together on the same album. While this sensible, unpretentious approach is something for which we're all grateful, I can't say I agree that it was entirely necessary. Yes, Carried Away is a departure — in a kind of piano-heavy way — from the full-band approach of Hidden In Plain Sight, but there's nothing here to suggest that the two couldn't sit together. And, in fact, the collection as it stands so far is in real need of careful pruning. There's a lot of technical skill here, but it's gotten lost in a melée of rambling and meandering ballads. Each song ends up being a reflection of the fundamental problem with this duo of albums — a lack of quality control. Like I say, Megan Hook has a good voice, and it's one I'd like to hear applied to stronger material. The general soundscape of the project is gentle, calming and pretty, but, having listened through both albums twice now, I've yet to come across a memorable melody. 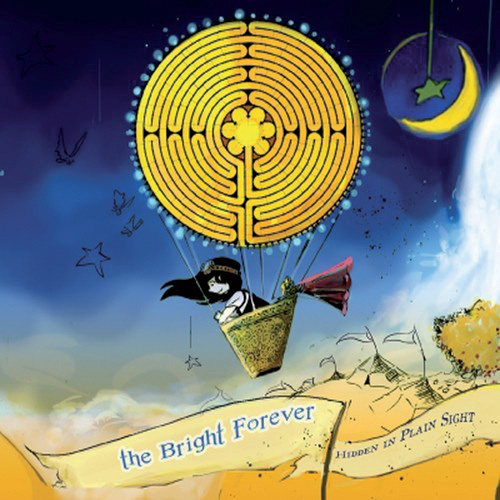 This has apparently also had an effect on the very competent members of the Bright Forever, who sound confused about how they should construct harmonies to complement the melodic confusion. There are more than a few discordant moments that unfortunately do not sound intentional. Ultimately, Hidden In Plain Sight & Carried Away are unsatisfying and fail to make much of an impression. There are really no memorable moments; I even checked a couple of times that I hadn't accidentally been looping the same song over and over. Nothing strikes fear into a Playback reviewer's heart like the phrase 'concept album' (and, yes, we do have hearts, for those of you who baulked at that). The, um, concept, of the concept album isn't necessarily at fault here. However, for reasons I wouldn't venture to suggest, the hit rate of the 'concept' concept is astonishingly low, especially in the 'one man and his bedroom studio' world of music-making. Still, always prepared to be proved wrong, I donned my Stetson and strode out, fearlessly, onto the vast soundscapes of Americana. The album tells a story, and if it's not a story you can work out by listening to the album, you can read the included PDF. If only they'd done this with Dark Side Of The Moon. We open with our central character — having been abruptly removed from his home and family in Essex — waking up, confused, in the desert. Well, we've all been there. After a bit of staggering about and admiring the dust, our hero sticks his thumb out and eventually finds his way to the Big City. Vegas, of course. Here he meets an unlikely, and frankly untrustworthy, character who offers him the chance to gamble on either getting home to his family in Essex, or 'living the dream' in America. Look away now if you'd rather I didn't spoil the ending, but basically somewhere along the line I lost track and our unfortunate protagonist ended up falling into Hell. Musically, this story is pretty well captured; the instrumental guitar parts are open and warm-sounding, and the use of pedal steel does evoke images of the great, sweeping landscapes of the South West. (Of America, I mean, not Devon). 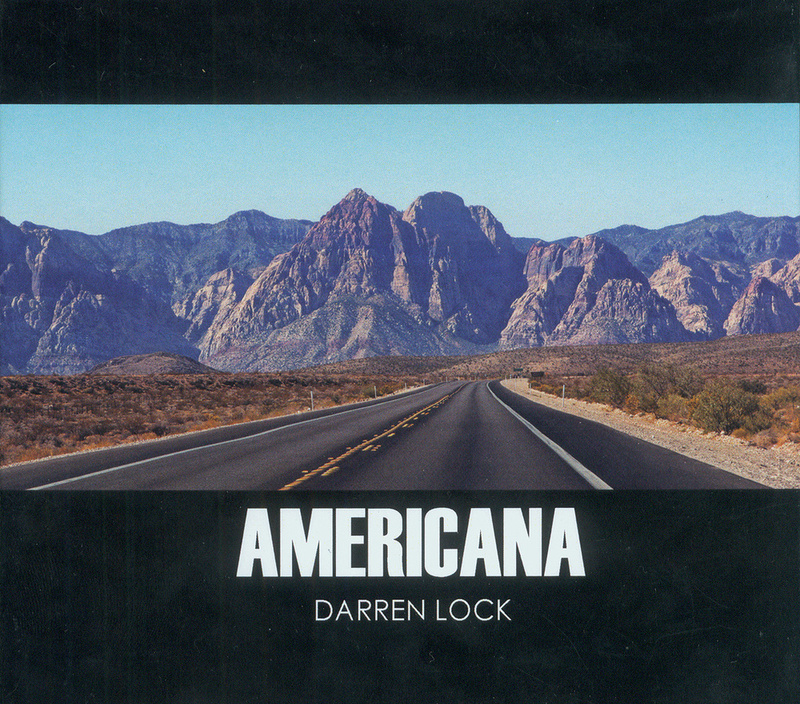 Although the album is filtered through the perspective of an Essex-based musician and displays a lot of the trappings of what you associate with American music (such as that pedal steel, and predictable Country & Western rhythms), it does manage, for the most part, to avoid cliché. During the purely instrumental parts, the album is actually a really nice place to be. 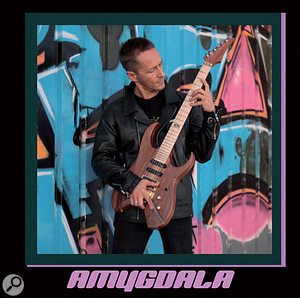 The whirring, swirling and occassionally random guitar sounds are gentle and tuneful enough to be quite soothing. But the tracks on which vocals (either sung or spoken) are used really let the whole thing down. Darren is neither a great singer nor a great actor. So even when he's playing his English self (or, rather, the part of Eddie Pilgrim, of Braintree or similar), it feels awkward and rather cringeworthy. 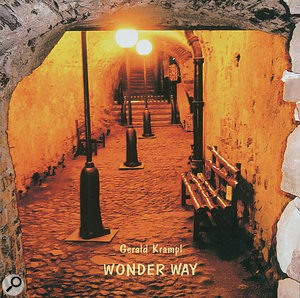 Gerald Krampl describes his music as "neo-classical/ambient” and cites artists such as Olafur Arnalds and Max Richter as influences. 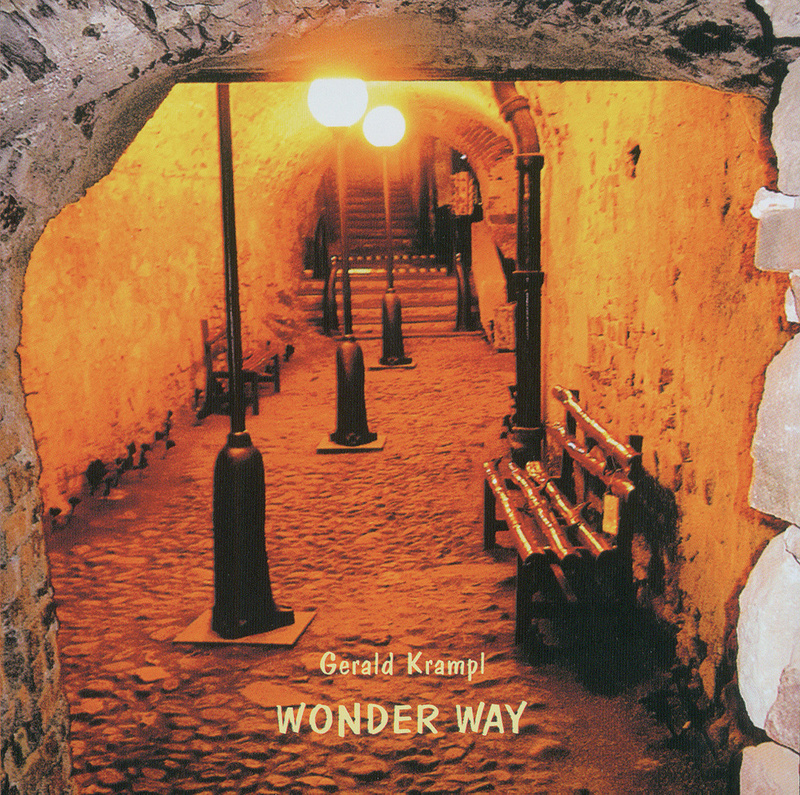 Wonder Way is a 12-track album of compositions for piano and solo string instruments, the latter played by his friend Peter Sagaischek. The mood is, for the most part, one of wistful melancholy; these are the sort of pieces you can imagine being played on TV as Michael Portillo contemplates the site of a historical tragedy from a rainy train window, before going off to interview a cheerful farmer about soap.